Have you always wanted a straight smile, but the thought of metal brackets and wires has caused you to put your treatment on hold? Now, you can get the results you want without metal braces. Dr. Shiloh Lindsey can correct your bite and alignment concerns using a nearly invisible treatment. With Smart Moves clear braces in Fort Collins, you will get the results you want using a sophisticated solution. Smart Moves is an orthodontic system for teens and adults who want an alternative to traditional braces. 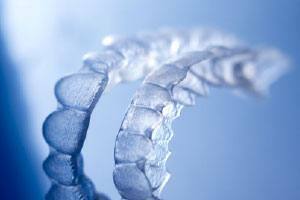 Using a similar concept as Invisalign, clear aligners are worn over your teeth to gradually move them into position. They are custom-fit to give you the comfort and confidence you need to smile and speak with ease while wearing them. The clear BPA-free plastic is virtually undetectable, so no one will tell you are wearing them. Besides correcting gapped, overcrowded, tilted, or rotated teeth, Smart Moves can also fix various bite issues, like an overbite, underbite, or crossbite. How Does Smart Moves Work? Dr. Lindsey performs an initial consultation to ensure you are a candidate for the clear aligners. He takes x-rays and digital impressions of your teeth to map their movement using 3D technology to create a series of custom-made aligners. You must commit to wearing them for at least 22 hours per day, only taking them out when eating, drinking, or maintaining your oral hygiene. You wear each aligner in the series for about 2 weeks before switching to the next. You will not need appointments for adjustments during your treatment, but you will need to come into our office every few weeks to allow Dr. Lindsey to monitor the movement of your teeth. 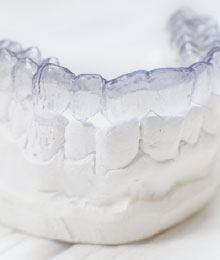 The number of aligners needed determines the length of your treatment. On average, you can expect to be finished with your series in about 12 months. No dietary restrictions because the aligners are removable. Easy oral hygiene routine because there are no brackets or wires to clean around. Comfortable fit because the aligners are smooth. Predictable results using 3D technology. How Much Does Smart Moves Cost? The amount you pay is determined by your individual treatment plan, such as how many aligners are needed. Dr. Lindsey provides you with an estimate during your consultation and discusses your payment options. 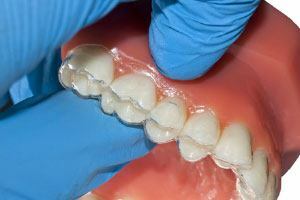 Depending on your dental insurance policy, it may cover a portion of the cost of the aligners. To pay for any remaining balance, we accept a variety of payment options, including CareCredit. If you are ready to invest in your confidence, it is time to schedule a consultation with your cosmetic dentist in Fort Collins. Contact our office today to start your journey to a straight, healthy smile.